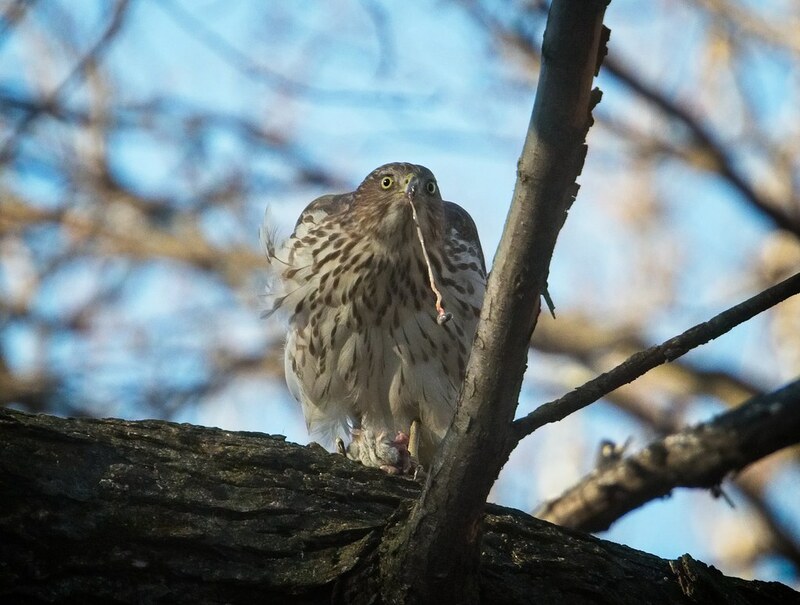 Continuing on from the previous post about recent hawk activity in Tompkins Square, Sunday and Monday proved to be equally interesting. 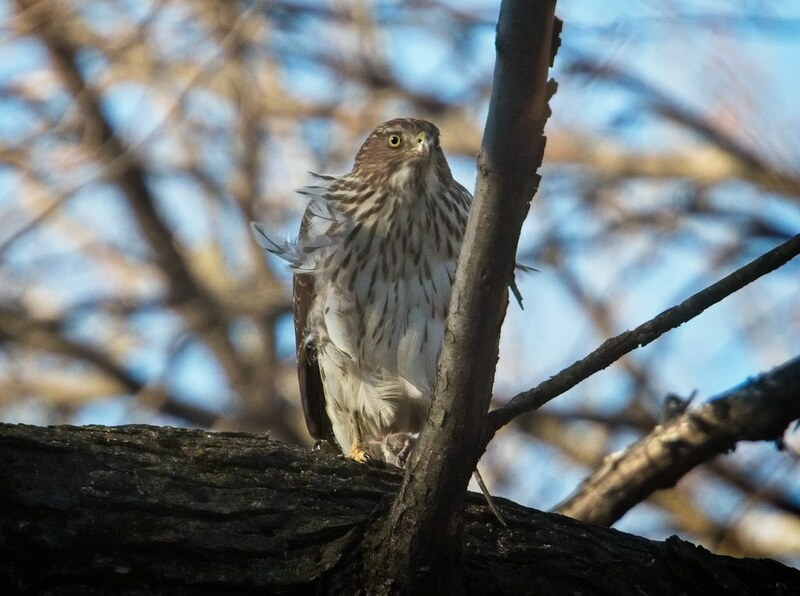 Sunday afternoon, I was surprised when an adult Cooper's hawk flew right past me on Avenue B and landed in a tree in the park. After about five minutes, it took off and flew east on 7th Street. Not long after, an immature Cooper's appeared in the park. This one caught a rat. There was some commotion in the air and I looked up to see Christo chasing two immature red-tails over the park. 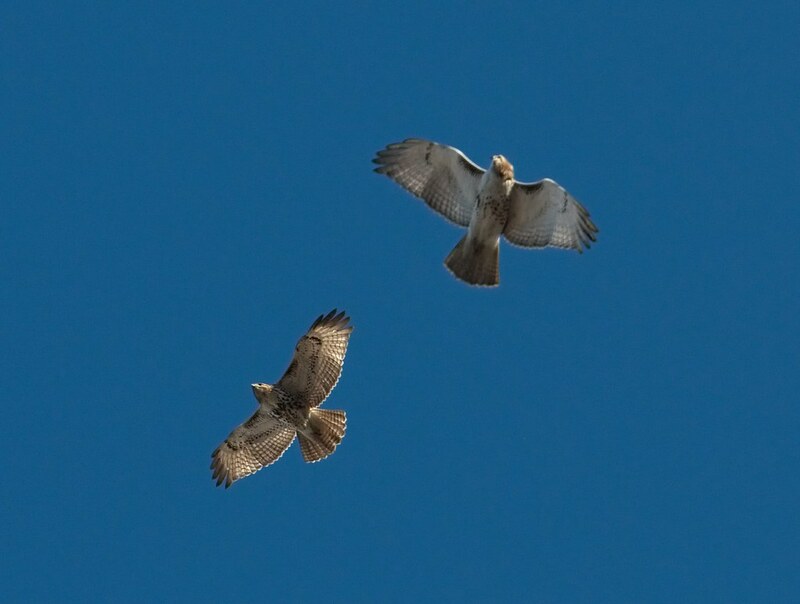 The photo below shows the two young hawks. The one on the left has a lot of dark markings while the one on the right is very pale. 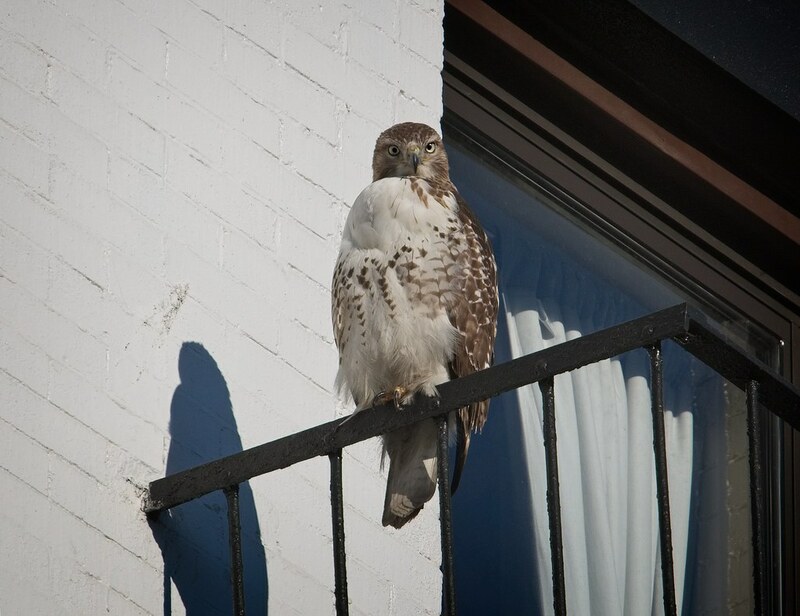 The following day, the pale red-tail was chased out of the park by Christo, and rested a while on a fire escape on 9th Street. Note the bulging crop - I'm not sure what the hawk ate, but it must have been big. Here's some video of the hawk hanging out. 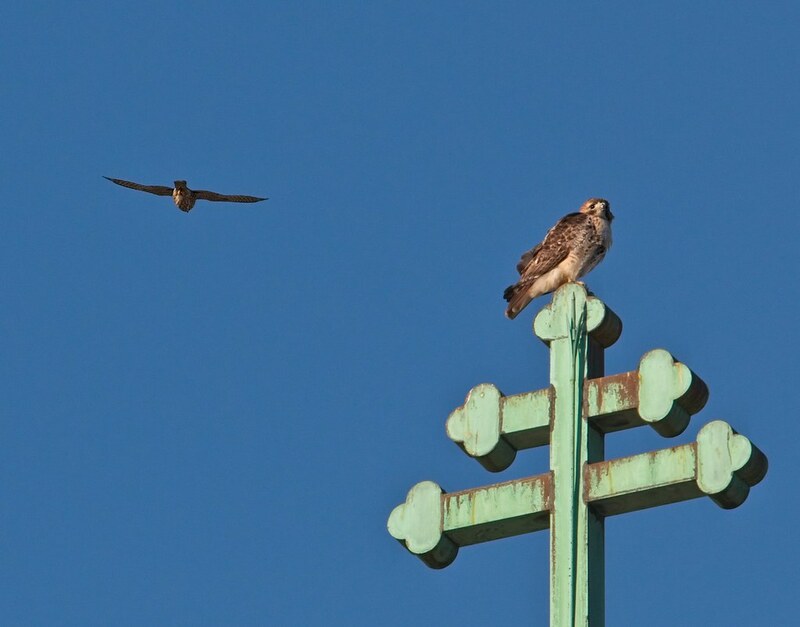 I did some comparison of photos and determined neither the dark hawk nor the pale hawk is the individual whose presence has been strangely tolerated by Christo and Nora. This means there were at least three different immature red-tails around the park last week. As the young pale hawk perched on the fire escape, Christo kept an eye on the park from the church cross at Avenue A and 10th Street. 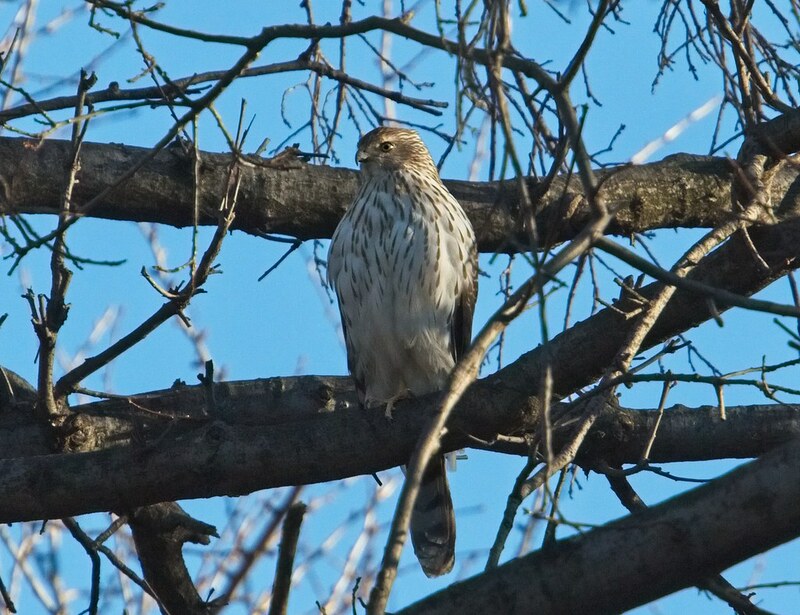 He was buzzed by a Merlin (below), but didn't react. Poor Christo has a lot to deal with right now. I'm not sure if he's going to partner up with Nora or not, and there are several other raptors invading his territory. He did manage to relax and take a steam atop the Christodora building, perhaps thinking over what to do next. At the end of the day, he's still a beauty. 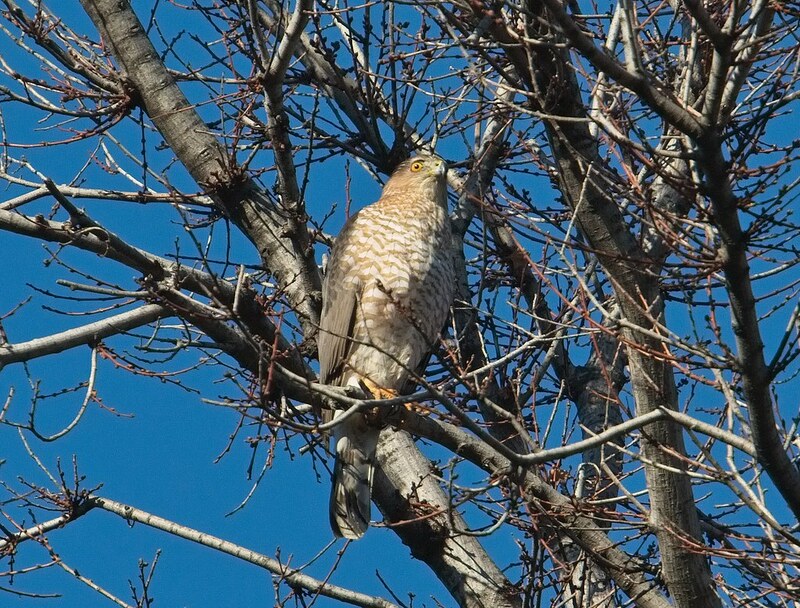 Washington Square Park has also been seeing some recent hawk action. Check out Roger Paw's post for an update on red-tails, Bobby and Sadie. 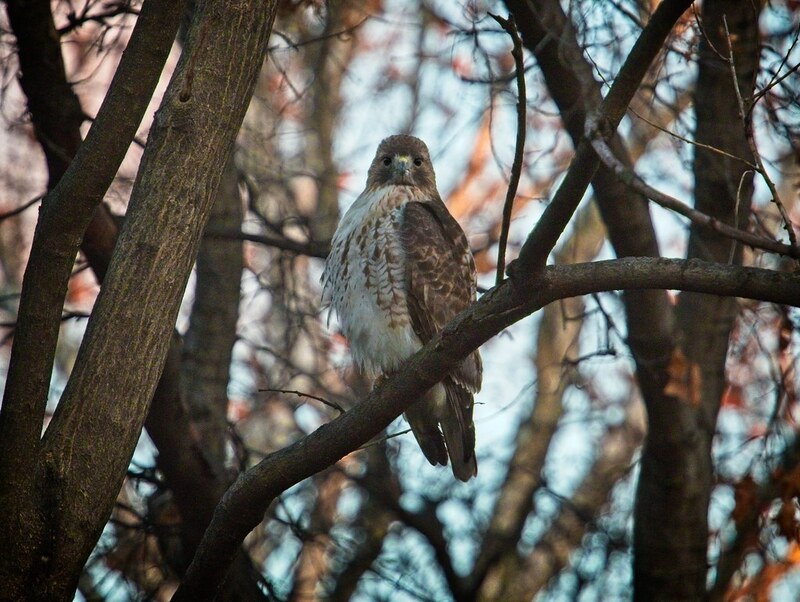 See more recent Tompkins Square hawk photos on my Flickr page.